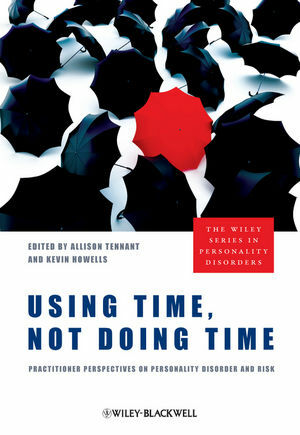 This book offers a wide variety of health care professionals an invaluable and long-awaited resource for the proper assessment, treatment, and management of personality disordered individuals. Allison Tennant is a Nurse Consultant and works at The Peaks Unit at Rampton Hospital Nottinghamshire Health Care NHS Trust. She is a Cognitive Behavioural therapist, and leads the Dialectical Behavioural (DBT) programme in the Unit. Her other interests include treatment evaluation and developing frameworks to ensure that staff receive clinical supervision to help maintain a healthy workforce. Kevin Howells is a chartered clinical and forensic psychologist. He has worked extensively as a practitioner, researcher and academic in the fields of forensic mental health and rehabilitation of offenders. He is Professor of Forensic/Clinical Psychology in the Institute of Mental Health at Nottingham University, a Fellow of the British Psychological Society, and Academic Chair in the Peaks Unit at Rampton Hospital.